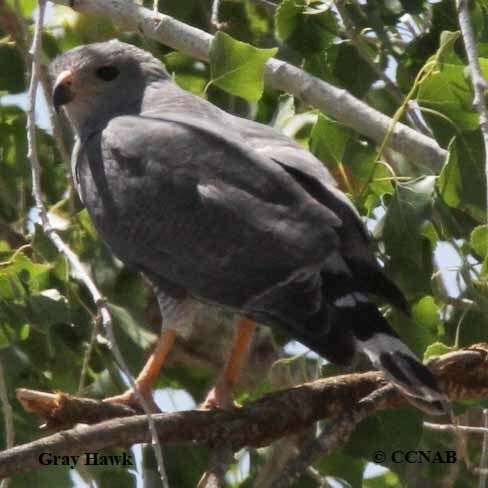 Species: The Gray Hawk (Asturina nitida) once known as the "Mexican Goshawk" , because its similar appearances to the Northern Goshawk, seen in North America. 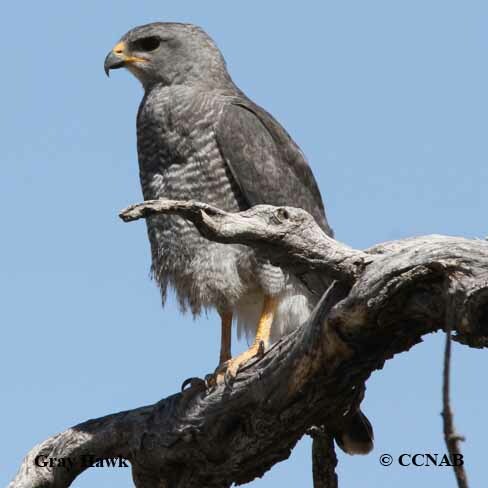 Today, some considered it to be a member of the buteo family, having wide rounded wings, and a stocky built. 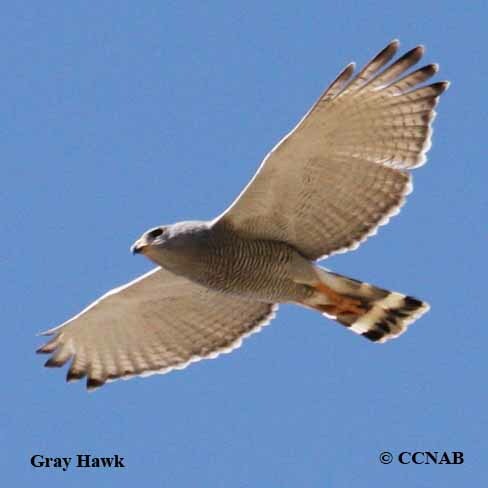 It can be seen perched on a limb in an open tree or on an utility line, or gliding over the landscape, where it hunts for any unsuspecting rodents, small mammals or reptiles, it may see on the ground below. 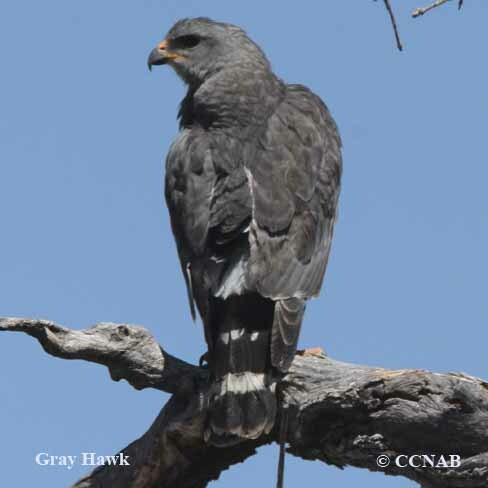 Distinctions: The male and female are similar, the female is the larger bird of the two. 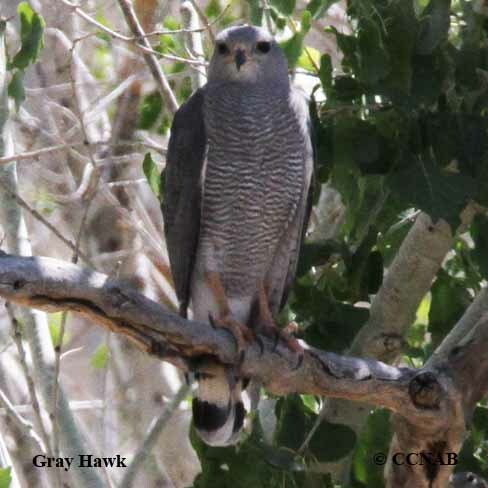 They have light grey bodies, with small barring covering the whole breast, wings have light checkering , long tails, with three dark bands, offsetting four light coloured bands. 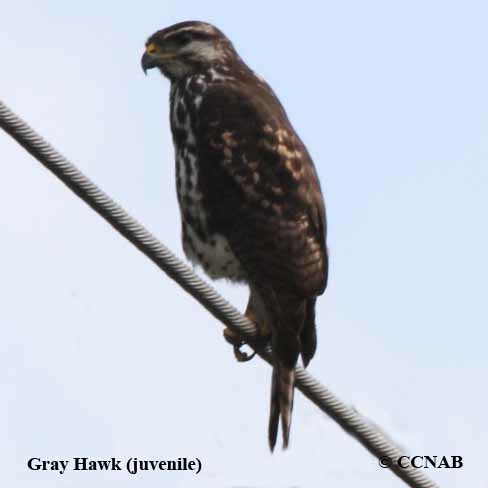 The juvenile is different from the parent, having a brown back, wings and tail, that is banded. Breast is heavily streaked, and the face is white, with a bold eyes lines. Voice: Call notes are rapid cries, can be heard when the bird is perched or flying. Nesting: Two to three bluish white eggs. Nest built high in the crown of a large tree. Nest is constructed of branches, sticks and leaves. Distribution: Prefers an open and arid landscape, accustom to a warmer climate. Breeds in the extreme Southern Arizona regions. Can be seen in the winter months, north of the Rio Grande River in South-eastern Texas. 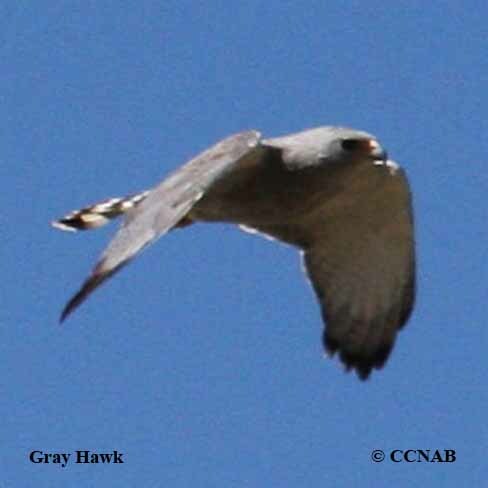 It is a common native hawk to Mexico and Central American countries.